May 31, 2010 - The International Brotherhood of Teamsters, Airline Division this week sent a request to the National Mediation Board that it release the aircraft mechanics of United Parcel Service from contract negotiations after more than four years of bargaining without reaching an agreement. "UPS' aircraft mechanics simply want a fair agreement that recognizes we have been without a new contract since 2006," said Robert Combine, UPS aircraft mechanic and President of Teamsters Local 2727 in Louisville, KY. Combine continued, "Our Company has made substantial profits since 2006, even considering the economic downturn last year; yet UPS has been unwilling to make a reasonable settlement offer, especially on the questions of job security for our members against foreign outsourcing and protecting our health benefits." "The IBT has put forward a reasonable proposal to serve as a basis for final settlement, but UPS has refused to do the same," Combine explained. Under the terms of the Railway Labor Act, the IBT has requested that the National Mediation Board release UPS and its aircraft mechanics from mediation and make a proffer of binding arbitration. Either party may reject that offer of arbitration, which would then trigger a 30-day "cooling off" period countdown to a potential strike. Concerning the potential for a strike at UPS, Combine stated, "UPS' aircraft mechanics voted overwhelmingly in favor of a strike if the company refused to make a reasonable contract offer. We do not wish to go out on strike. But UPS will leave us no choice if it insists on its unreasonable position." "The IBT and its 1.4 million members, including over 200,000 Teamsters at UPS, stand strongly behind the Teamster UPS aircraft mechanics in their effort for a fair agreement," stated Capt. David Bourne, Director of the Teamsters Airline Division. "More than four years of unsuccessful bargaining is far too long. That's why we were compelled to ask the National Mediation Board to move this dispute to the final stage in an effort to push the Company to a reasonable deal." 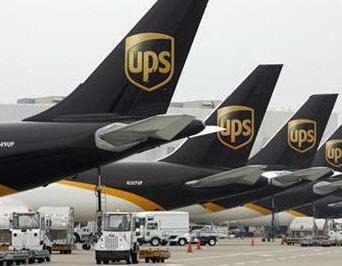 Local 2727 is pleased to have the support of the UPS Pilots. Independent Pilot Association President Bob Thrush believes that the NMB should grant the release and that UPS has not been bargaining in good faith and moving on this like they should. "This is one of the tools available for Local 2727 to expedite the process and hopefully get the contract they deserve." President Thrush stated that the "IPA fully supports Local 2727's endeavors to get the best contract in the industry." Combine concluded, "We hope this action will persuade UPS to finally make the good faith effort to resolve our long dispute."